Wow! 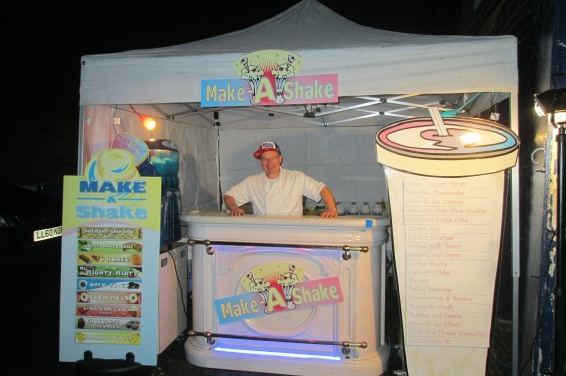 Here is a great product as an exhibition trade stand refreshment idea or as your trade show stand catering. Yes; A different way of serving food for a trade stand attraction. Thick Milkshakes with sweet things added. Yum!! 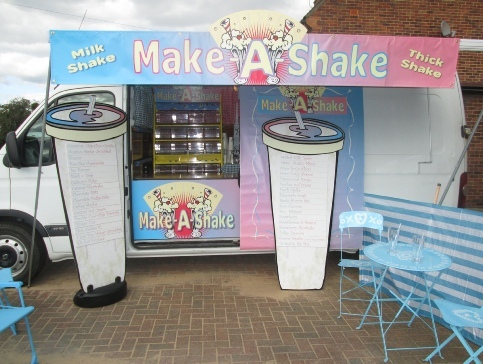 These thick milkshakes will go down a treat at a hot and busy expo - Trade show. 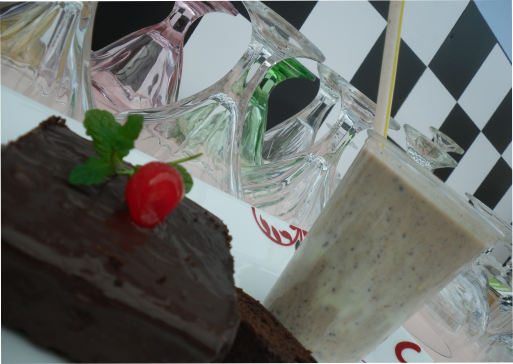 Made from a superior milk shake mix and a personal blend of your client selection from any of the sweets, cakes, fruit and sauces from the menu board. 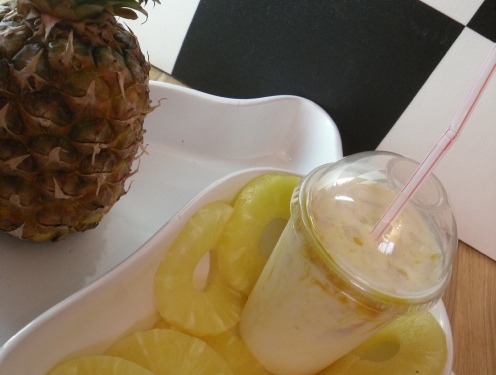 Thick shakes made in seconds for you customers to enjoy. We only use the finest thick shake mix as a base to our ‘Make-A-Shake’. I Would Like; Delicious made to order Thick Shakes at the Milkshake Bar. Our range of add-in ingredients are displayed on a 1.8 meter high selection menu board in the shape of a thick shake. Choose your filling and we will blend your choice of ingredient in to the mix! Delicious, thick and made in seconds. I.E. Apple Crumble, Aero Peppermint, Banana Bitz, Bounty, Bourbon, Buttons, Chocolate Chip Cookie, Chocolate Fudge Brownies, Club, Crunchie, Cadburys Flake, Chocolate Orange, Coffee Mocha, Ferrero Rocher, Ginger Nut, Kit-Kat, Maltesers, Mandarin Cheese Cake, Merry Berry, Minty Choc Bisc, Oreo, Peach Delight, Penguin, Pineapple Crush, Rocky, Smarties, Strawberries Creme, Toffee Popcorn. You Name it, we mix it! Alexandra Palace, Business Design Centre, Natural History Museum, Bournemouth International Centre, MillBrook, Newbury Racecourse, Donington Park, Earls Court, Epsom Downs Racecourse, ExCeL, Savill Gardens, Southbank Centre, Hilton Brighton Metropole Hotel, Manchester Central Convention Complex,The Landmark, Olympia, Royal Albert Hall, National Exhibition Centre,The Brighton Centre, QEII Conference Centre, O2 Arena, Telford International Centre, Sandown Park Exhibition and Conference Centre, Stoneleigh Park, Ascot racecourse, Windsor Racecourse, Science Museum, Polo Club.